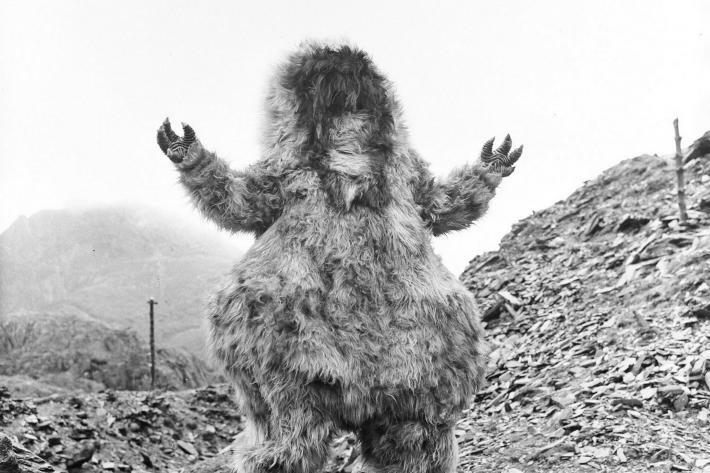 Beware of the Yeti! 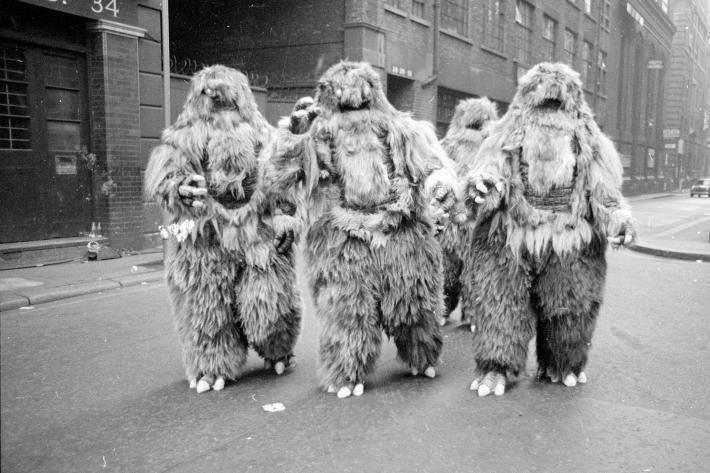 In September last year the UK newspaper the Mirror released 10 recently recovered photographs taken during the filming of The Abominable Snowmen and its sequel, The Web of Fear. 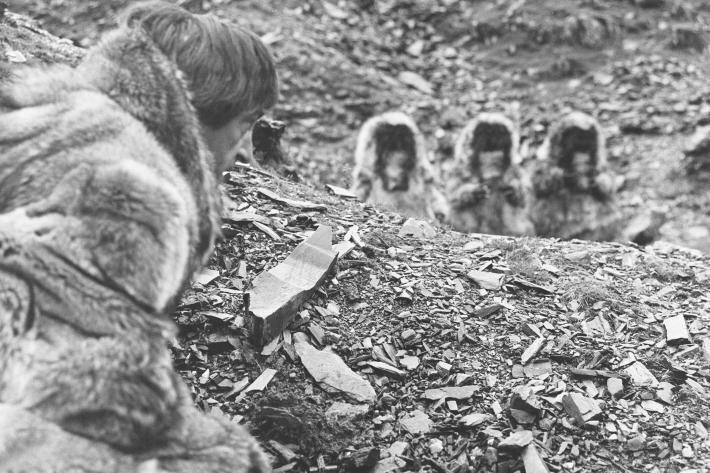 Three photos were taken during the shooting of The Abominable Snowmen in Snowdonia, Wales in September 1967. 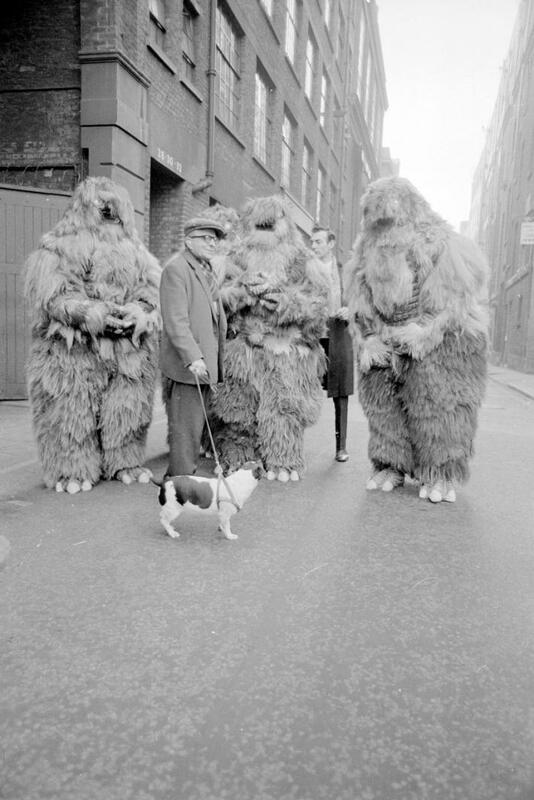 The other seven photos are from the filming of The Web of Fear in London during December 1967. 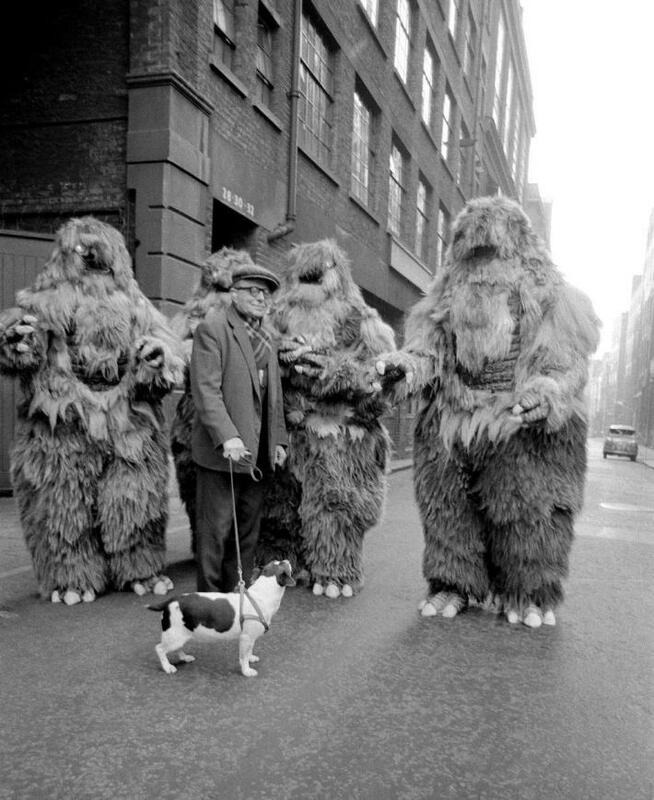 I particularly love the shots of the boxer and the Yeti, and the old man with his small, perhaps Fox Terrier, dog. Just imagine what tales those two dogs would have told their mates! You can view the Mirror’s article here. All photographs are copyright Dennis Hussey / Mirrorpix. No copyright infringement is intended. 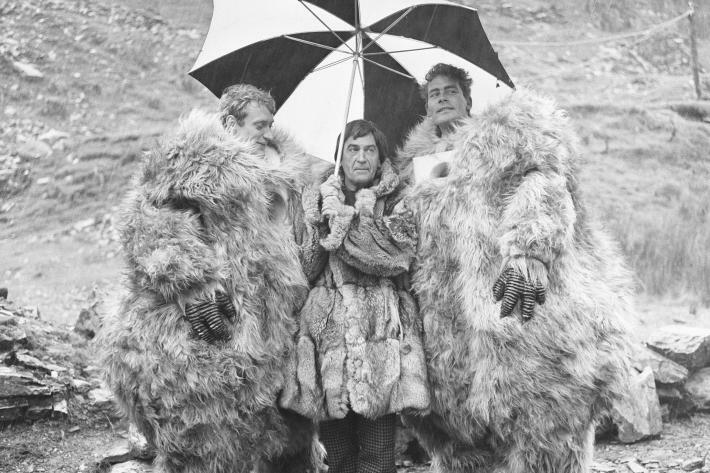 You can read my review of The Abominable Snowmen here and find links to Loose Cannon’s reconstructions here. All photographs are copyright Dennis Hussey / Mirrorpix. No copyright infringement is intended. These are brilliant. Never heard of them before. 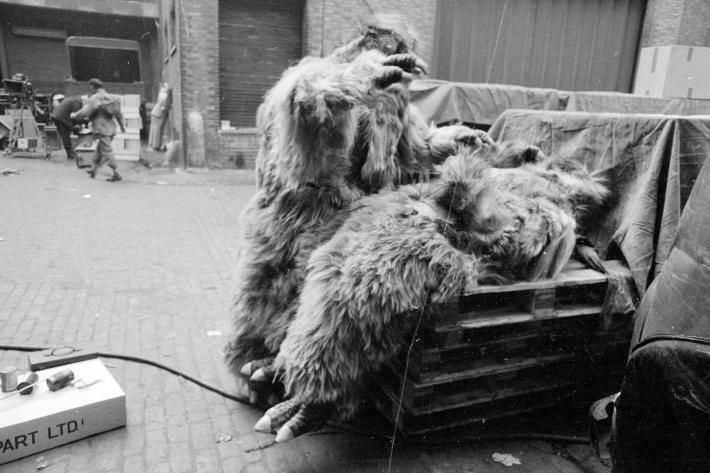 I love the original Yeti and think the design got shabbier with every time they returned. 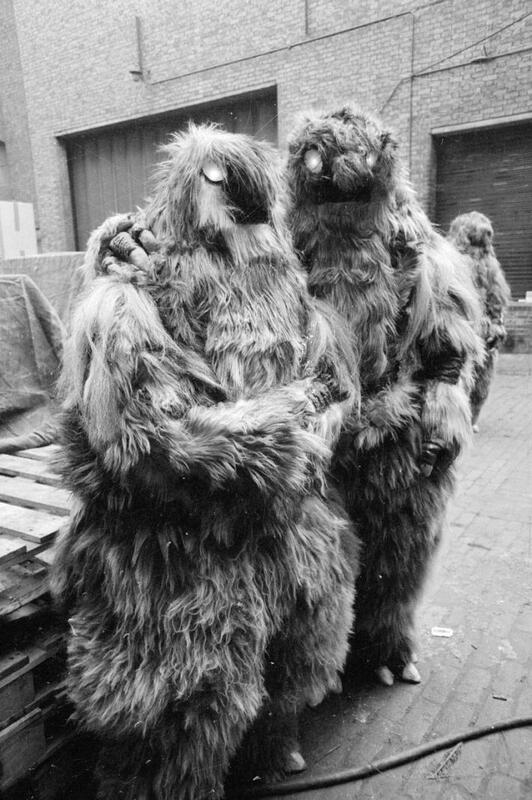 There was some sort of fan video with them in the nineties and they looked like they’d been knitted! Thanks FM. 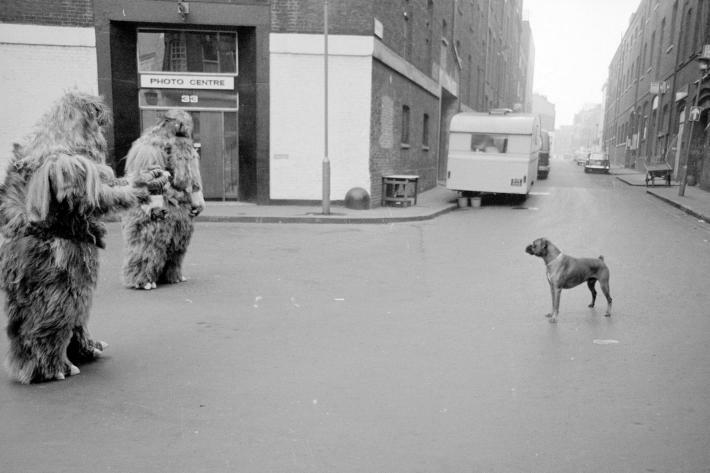 It’s so cool that they got photos of the two dogs’ reactions to the Yeti. They’re just classic! I haven’t seen the fan video. I must try to check it down. It’s called Downtime. It does seem to be available to view on the internet too! Although my computer is blocking it. I only saw it once – not sure how now – but I don’t think it was very good at all despite the cast! I think you’ve enough on your plate as it is! Thanks. I’ll have a look for it. 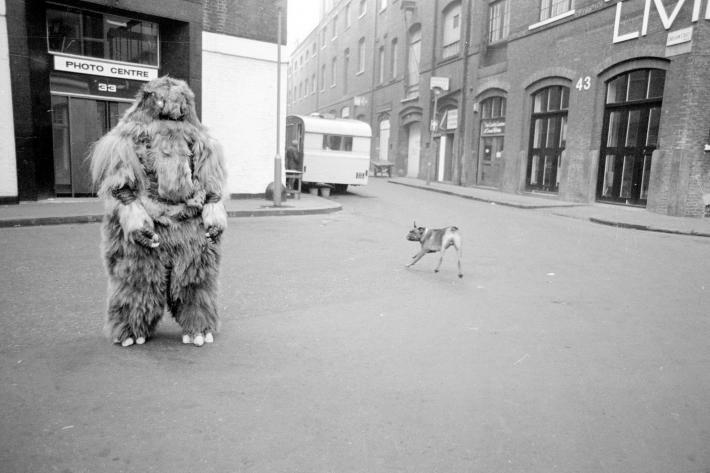 LOL to the Yeti with the old man and his dog. Just chillin’, ya know!